God! 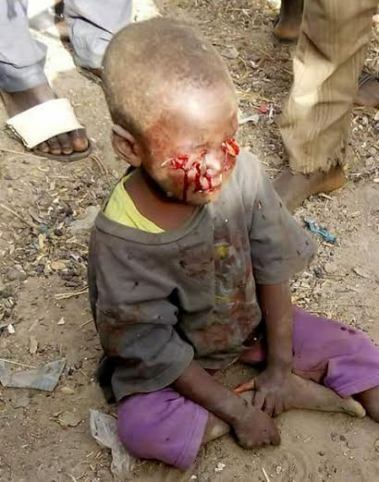 The wickedness of man to fellow man..A man on facebook posted this picture alongside a caption in Hausa ..
WANNAN YARON DA WASU MASU NEMAN DUNIYA TA HARAMTACCIYAR HANYA SUKA KWAQULEWA IDANUWA A ZARIA. KAHANASU KWANCIYAR HANKALI ADUNIYA KAHADASU DA BALA'I IRINNA MUTANAN ANNABI SHUAIBU, DA SALIHU, DA NUHU AMIN. ALLAH KASAKAMASA KABIMASA HAKKINSA KABASHI LAFIYA AMIN.